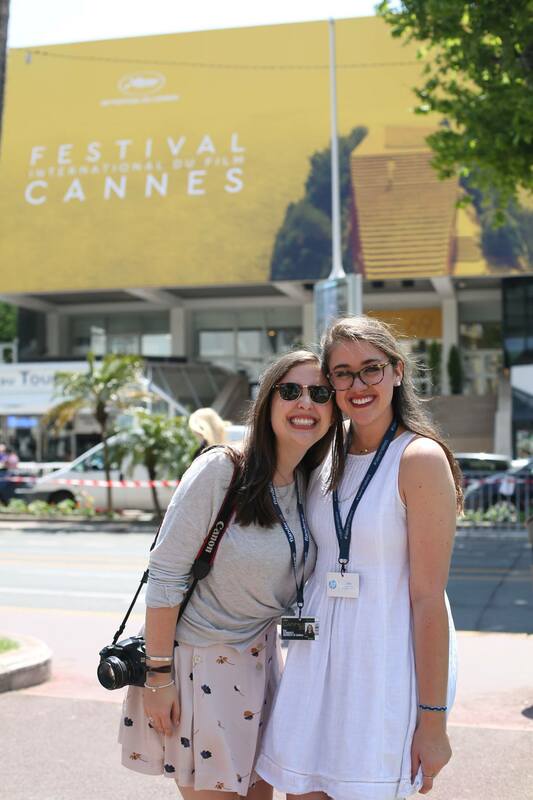 The Cannes Film Festival Study Abroad offers two academic courses centered on the famed Cannes International Film Festival. Students are strongly encouraged to study abroad and participate in domestic field studies as a part of their course of study. At Grady College, we feel that students who have a critical understanding of the global scope of Journalism and Mass Communication are set apart in their fields and we take pride in being able to provide these opportunities for students. 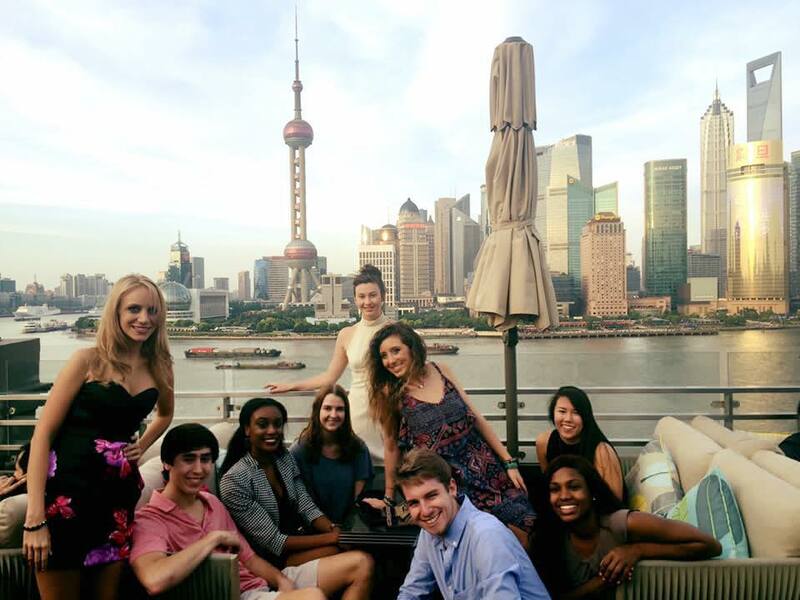 Students participating in the 2016 ADPR Choose China Study Abroad visit Shanghai. From travel writing to industry-leading advertising and entertainment strategies, each of our summer programs offer students an experience that strengthens their understanding of their major and/or helps them gain valuable skills that they otherwise couldn’t inside a normal classroom setting. While each program offers courses in specific disciplines, students are not limited to participate in courses only within their major. Many of our Study Abroad and Field Study programs are open to students outside of Grady College majors (including undergraduate and graduate students) as well as students outside of the University of Georgia. Where will you go with Grady? Applications for each summer program open in August of each year. For summer 2019, applications are due by 5pm on Friday, January 18th. To apply, click the “Apply now” button, which will direct you to UGA’s Office of International Education’s StudyAway Portal. That is where all domestic field study and study abroad program applications are housed. If you have any questions about the application process or deadlines, contact Rebekah Ryan, Grady College Distance Learning Coordinator, at rryan26@uga.edu. A Grady College Study Abroad Scholarship is available to Grady study abroad participants. These funds are only available to intended or current Grady majors who participate on a Grady College study abroad program in Summer 2019. Apply by January 18, 2019. Not rolling admissions – Apply by Jan. 18, 2019. Receive up to 6 hours of upper-level elective credit (3 hrs – ADPR 5590- Creative Explorations; 3 hrs – ADPR 5991- Creative Applications) **receiving credit optional. Students work as interns for companies in the entertainment industry in LA. 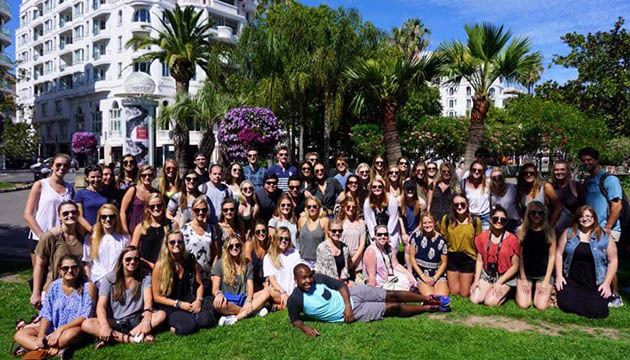 Students participating in the 2016 Cannes Lions Festival Study Abroad program arrive at the Palais des Festivals et des Congrès. Students learned how to pitch articles to editors, interview locals and structure articles for print and web during Travel Writing in Croatia in 2016. 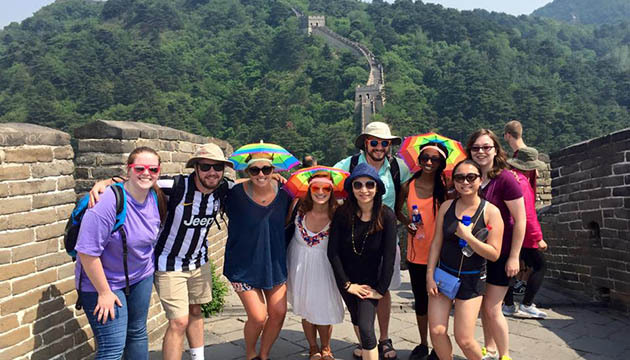 Students in the ADPR Choose China Study Abroad program take a trip to the Great Wall. 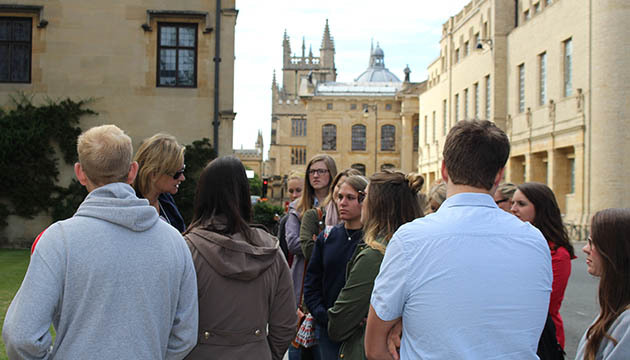 The historic setting in London inspires students in the Grady@Oxford program.